How to create a wow effect when launching a new product, improving communication with customers while enticing others? 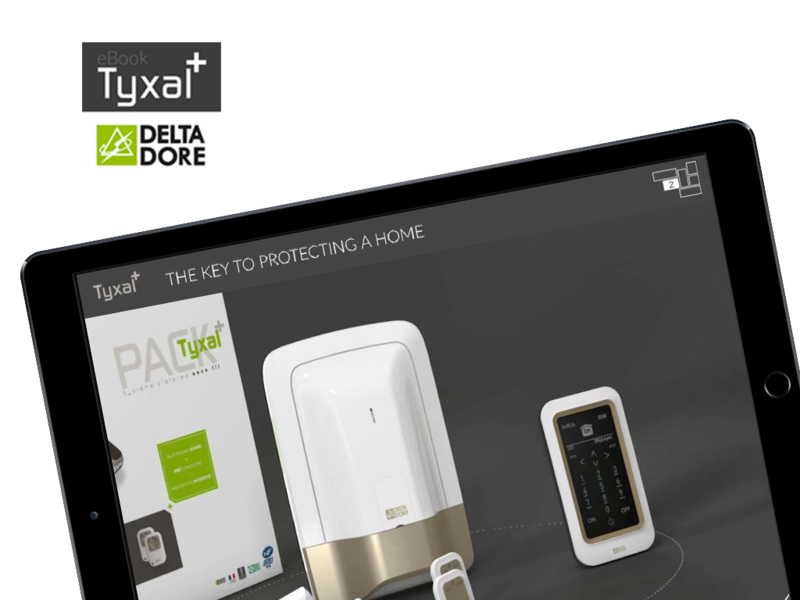 Delta Dore is an energy services company specialising in electronic control solutions and wireless home and offices automation. 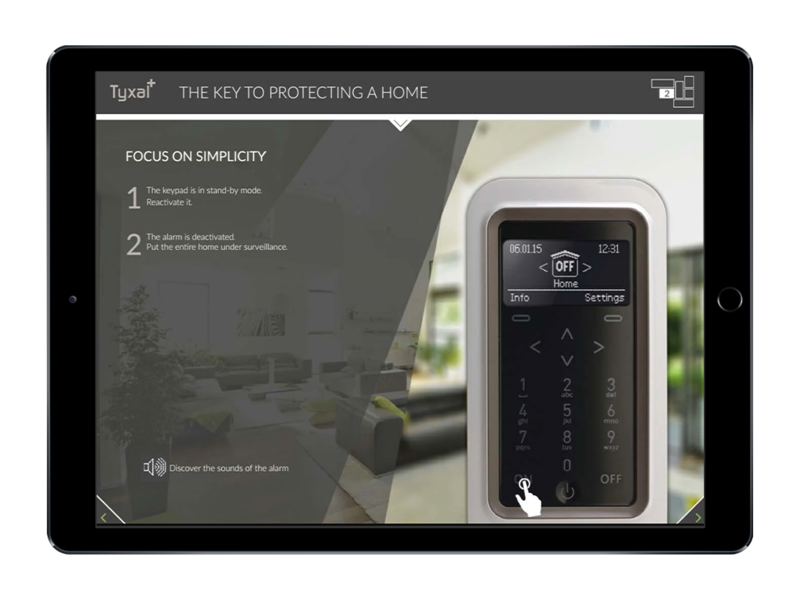 In 2015 they launched a new product: Tyxal+ a cutting edge, wireless alarm system designed to protect homes. And they wanted to combine the new tool release with attractive digital content. The reflection started in early 2013 with the idea to support the commercial launch of a new generation alarm connected to the protection of property and people, explains Laurent, a member of the design team. 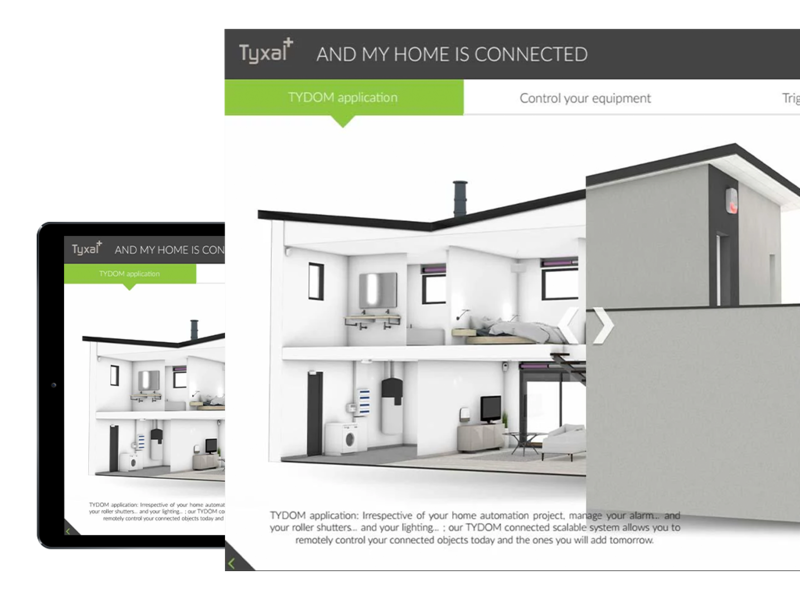 We wanted to develop a digital medium, innovative and achievable in-house. The app has been launched for iOS and Android smartphones and tablets. The entire content was created internally by a team of designers who were able to use the Aquafadas InDesign plugin without the need for coding. Availability on multiple platforms allowed the app to have an expansive reach and increase the visibility of the brand itself, important for the Delta Dore marketing strategy. And in the four months it reached 1540 downloads in France alone.